When is the Right Time to Consider Dental Implants? It should be noted that some people put dental implants as one of their very last options with regards to dental procedures. Cost is something that can discourage others to an implant tooth especially since it is considered to be as one of the more expensive treatment that is available in the present. Dental implants in Parramatta however, provide a plethora of benefits making their cost a worthwhile investment. Let us look at some of the factors that can help you decide to get an implant in Parramatta. It is good to hear that modern technology has contributed greatly in giving people plenty of options on how they want to proceed with their dental treatment procedure. Dental implant is commonly used to treat a variety of issues including tooth loss due to plaque and tartar buildup, tooth decay and gum disease. Dental procedures such as dentures, bridges and crowns work quite well with these types of issues however, not everyone will be suited for them due to a number of reasons. It is imperative to fix them right away as further complications can arise if nothing is done to replace what was lost. This is where tooth implants in Parramatta become quite a handy procedure to acquire keeping each tooth properly in place supporting a healthy bite and jawbone in the process. This along with the huge confidence boost and self-esteem it gives, makes dental implants a procedure that should not be delayed. Cost is something that can hinder a person from getting a specific type of service. Dental implants are known to provide a huge amount of benefits but they can be a bit on the expensive side of things. There is indeed much to prepare with regards to dental implants prices in Parramatta making it necessary for people to plan them in advance. A number of individuals were able to find success in lowering the overall implants cost in Parramatta through a variety of measures. The first thing that you can do is work with your dentist as well as your dental insurance provider in order to determine what portion of the cost will be covered. If you think that the tooth implant cost in Parramatta is a bit expensive, don’t hesitate to open this discussion up with your dentist as they will be more willing and happy to share treatment alternatives that will be able to fit your budget allocation. Some individuals were able to save a fair amount of dental implant cost in Parramatta by getting multiple implants at the same time instead of doing them on a different basis. This also helps you save a few expenses such as travel time as you don’t have to go back to the clinic repeatedly. Furthermore, several dental clinics today offer discounts when their clients decide to get multiple dental implants so it is a good idea to inquire about this in advance to make them more affordable. Dental crowns in Parramatta are treatment procedures that have a long term goal in mind. This means that their clients will be wearing these crowns for a long period of time making it important to plan for this in advance. One of the preparations done with dental crowns is by lowering their cost and given them some leeway. Let us look at some of the steps on how you can save dental crowns cost in Parramatta. Insurance can help save clients a substantial amount of resources with their dental crowns making them a worthwhile investment. With that being said, it is important to note that most dental insurance companies don’t cover dental implants especially if they are considered for cosmetic purpose. During such cases, it is a good idea to apply for a dental discount plan which gives decent savings on a variety of dental procedures. If you are not enrolled to any dental insurance or plan, you may want to ask for a cash discount with your tooth crown in Parramatta when you decide to pay for them upfront. This is very convenient on the dentist’s end especially since they don’t have to worry about any credit card fees and billing hassles. As mentioned earlier, dental crowns fall under long term treatment plans for your teeth. For that matter, it is important to keep your crowns in good shape and form which you can do by having a regular cleaning appointment with your dentist. Losing a tooth permanently can be a stressful and saddening experience. This can make eating and smiling in public a bit more troublesome. For that matter, people take the necessary measures in order to fix the loss of their tooth in a timely and effective manner. Dental implants in Parramatta offer their patients a flexible and convenient solution to tooth loss through their extensive dental implant procedures. Dental implants have been growing in popularity as a very good replacement option for dentures. 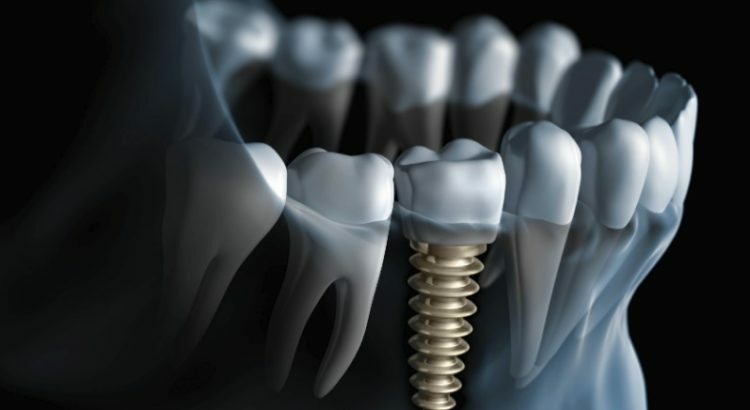 The reason behind this is that dental implants offer a more durable and sturdy replacement to a missing tooth. The natural look and feel it brings as well as the colour and shine gives their wearers added confidence and self-esteem as they are able to show off their smile with no problems at all. Furthermore, dental implants are more comfortable to wear compared to dentures which can sometimes falloff leading to embarrassing situations. Such is not the case however with dental implants which also lead to easier eating and added convenience. Another thing to note is that dental implants today can last a lifetime with proper care and maintenance. This is the reason why a huge number of individuals feel that they are getting their money’s worth from the procedure making them a very much worthwhile investment. Dental implants provide a wide variety of wonderful benefits to their wearers. With that being said, not everyone can be a good candidate for the procedure. To ensure that your dental implant is installed in a correct and orderly manner, make sure to schedule an appointment in advance with a professional cosmetic dentist in Parramatta. These professionals work hand in hand with their patients to minimise the risk and complications that comes with the procedure. Get in touch with a cosmetic dentist in Parramatta today! Whenever you visit the dentist while suffering from tooth infection, it’s the dentist’s discretion to save your tooth at all costs. Saving the tooth is always its primary goal. Root canal treatment is another way for the dentist to save the tooth and at the same time help you avoid going through tooth extraction. Root canal therapy is meant to treat a tooth that had been decayed. This is known for its multiple benefits. Tooth damage can be brought about by many different things such as cracks, deep cavities, or injury. Root canal therapy is intended to heal the infection and at the same time protects the tooth from being decontaminated to ensure that the tooth would not be infected again. The root canal has nerves and blood found within the dental pulp which if it’s affected by tooth cavities or damage may lead to massive tooth decay and intense pain. That’s why it has to be treated through root canal therapy. Root canal therapy in Parramatta helps in lessening the adverse effects of toothaches since life can be unbearable when it strikes. The pain that it brings can be paralysing and makes it difficult for you to eat as well as suffer headaches. Root canal therapy restores all the normal functions and sensations of your teeth. It ensures that your chewing is as efficient as it used to be. Root canal Parramatta also helps prevent the other tooth from suffering due to the unnecessary wear that may come from excessive straining as force is used of one side of the mouth from tooth injury or decay. Having root canal therapy is not fun at all. It can only be fun for the dentist who makes a good living by earning a lot from this dental procedure that will clear up the infected pulp found at the canal of the tooth’s root. A lot of people have misconceptions of this procedure being painful but the truth is that it’s not much worse than the sensation of getting a tooth filling. The real terror may come when you have to face the root canal cost. The cost of root canal can vary depending on many factors. You have to understand that the molars found at the back of your mouth have more roots compared to the teeth in front. The molars are also difficult to access which is why they are more expensive. When your dentist feels that the procedure is just too complicated, you could be referred to an endodontist who might charge you even higher by 50 percent. Endodontists spent two more years in school for specialisation. Another factor that affects the root canal cost is if the dentist or the endodontist has a dental clinic in a highly urbanised area. When the canal is thoroughly cleaned out and the hole drilled to ensure access on the inside of a tooth can be easily sealed off, you only need to pay $400 up to $500. This is already considered bargain price for a root canal therapy. However, the most common treatment process is for the dentist to place a dental crown on top of the tooth replaced. This means you have to pay for several hundreds more. Losing a tooth can be a very problematic and troublesome situation especially when the opportunity to grow a new one has passed. This in turn affects the overall quality of smile. With that being said, many are able to find good replacement alternatives in the form of dental implants. Also known as replacement roots, dental implants give their patients the option to have metal posts or frames surgically positioned into the jawbone beneath the gums. This in turn allows replacement teeth to be mounted unto them by dentists. This also gives their patients the option to have them removed or replaced at any given time when the need calls for them to do so. Having a tooth implant opens a door to many exciting opportunities patients will be able to experience. For starters, people who choose to have an implant tooth will be able to benefit greatly from their improved appearance making the tooth looked like their own. Aside from that, dental implants are also known to provide a good measure of comfort which allows their wearers to speak without mumbling or perhaps slurring their words. Another noteworthy feature dental implants have over its counterparts is the improved self-esteem it provides to their wearers. The reason behind this is that it can be very hard to tell if a person that you are talking to is using them. Dental implants in Parramatta are known to be quite durable that is able to last many years with good care. Consider getting a dental implant today! The dental implant procedure is endeared by many with the huge amount of options and flexibility they provide to their wearers. People are able to hide it as they look like a regular tooth. There is also the option to have dental implants replaced and removed which offers a great measure of relief to many. This in turn resulted to dental implants growing in popularity receiving its fair share of the spotlight over the years. How much will a dental implant cost you? Dental implants are considered to be a bit more on the expensive side of things. Tooth implant cost in Parramatta for example, can range from $3,000 to $4,500 to replace a single tooth. This however, includes the surgery for placement of an implant, all the components, as well as the implant crown which all amounts to a complete package. Another thing to note is that the cost of dental implant gets much higher if more than one or a full set is needed. A number of patients were able to save a fair amount of money with their dental implants. First off, you may want to check with your insurance provider to see if dental implants are covered. You can also do a comparison shopping getting quotes from several dentists to see which price is best suited for your budget. Location is also a known factor that can affect the cost of dental implants so make sure to consider a larger geographic area.